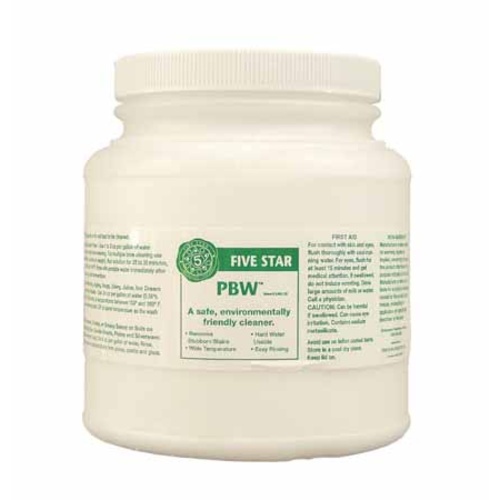 PBW (Powder Brewery Wash) is a safe alkaline cleaner for all of your wine making equipment. It’s a favorite of people who make wine at home because it out-performs caustic chemicals without scrubbing. Just put your kettle, bottles, carboy, etc. in for a good long soak.